The Department of Archaeology sought a report on the incident in which an archaeological site was vandalized in the Eastern Province on December 18, and vowed to take strong legal action against those responsible, an official said today. 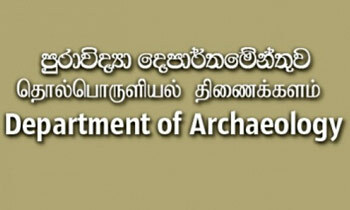 Director General of Archaeology Prof. P. B. Mandawala told Daily Mirror yesterday he instructed the Assistant Commissioner of Archaeology, in charge of the area, to pay a visit to the vandalized site in the Trincomalee district yesterday and submit a report. He said the Prime Minister’s office also made inquiries about it. He said the police investigations were on, in this regard. Earlier, different civil society movements raised alarm about the continuous destruction being done to the Buddhist archaeological remains in the eastern province. Entire Sri Lanka is plundered by our leaders large and small, if we want to archeological site's been plundered then 1st stop the political criminals plundering the nation and bring them to justise. 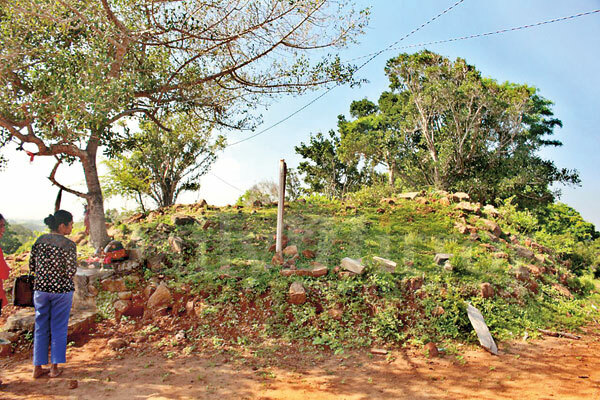 Whether it was 'Tamil' Buddhist site, or a Sinhala Buddhist site... I guess we will never know now. if so, why do Tamils destroy it? Still leaders are talking about national reconciliation?? This is our national heritage! What is the government doing?